This was a fun read. I have really enjoying the Gods and Godesses trend we have seen lately (probably due to the popularity of the Riordan series). Mythology has intrigued me since my high-school days when I was first introduced to Odysseus and the interesting characters he encountered along his journey. And who didn’t love Hercules? One of the aspects of this story that I truly loved was the voice. Our teenager really feels like a teenager. She is a bit awkward; doesn’t quite fit in with the in crowd. I really identified with Zoe. While it has been years since I was a teenager (I hate to even think about how many it really has been) hearing Zoe’s worries and concerns felt so familiar. She felt very real to me. Another aspect of this book that I enjoyed was the youthfulness of the Gods and Goddesses of Olympus. The concept that the Gods and Godesses were eternally teenagers really makes sense. Their capricious natures and self indulgent whims really make so much more sense if they are teenagers with such amazing powers. 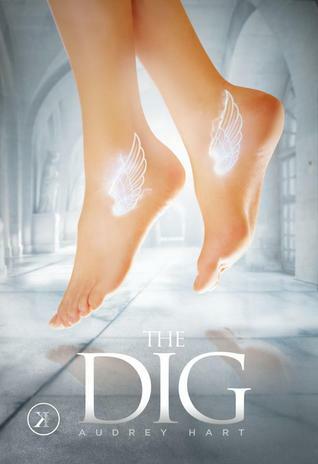 If you like a sweet romance mixed in with an Olympian style adventure, check out The Dig, available as an ebook from Back Lit Publishing. Content: Fairly clean. If you are uncomfortable with the use of the Lord’s name in vain, this book uses it quite a bit.